A dementia diagnosis shouldn’t prevent seniors from enjoying their favorite activities or taking up new hobbies. Family caregivers should encourage their aging loved ones to remain active to slow the progression of dementia. Here are a few fun and simple activities older adults with dementia can enjoy. Painting and sketching can be therapeutic for older adults with dementia, and drawing pictures can help seniors express themselves on a more artistic level. Drawing different symbols, people, places, and objects can also serve as communication tools for seniors with dementia. Dementia can be challenging for seniors to manage, but they can maintain a higher quality of life with the help of professional dementia home care. Green Valley seniors can benefit greatly from the Cognitive Therapeutics Method (CTM), an activities-based program designed to promote cognitive health and delay the onset of dementia. CTM is included at no additional charge with any of the in-home care plans provided by Home Care Assistance. Music helps seniors with dementia manage emotional and behavioral changes. When your loved one hears music, it could have a positive impact on his or her mental health, relieving stress and anxiety. If your loved one feels up to it, encourage him or her to sing along to the music. Singing songs or listening to music could also trigger memories. Nature can calm seniors with dementia and alleviate feelings of anger and sadness. Working in a garden is a good way for your loved one to get outside and enjoy the outdoors. Make sure to remove all dangerous tools and objects. While gardening, your loved one can take in the fresh air and enjoy the moment, reducing the stress caused by his or her current health. It is important for seniors with dementia to foster connections with others, and assisting with chores is a good way to accomplish this goal. Doing chores could provide your loved one with a sense of purpose and accomplishment. Aging adults who need help around the house, transportation to medical appointments and social events, and assistance with exercise can benefit from having an in-home caregiver. With the help of Home Care Assistance Green Valley, seniors can enjoy greater independence and receive regular mental and social stimulation when relying on a trusted professional who is expertly trained in various aspects of senior care. Watching family videos is a good way to help your loved one stir memories. While watching the videos, your loved one may remember fun times from the past and people who brought joy to his or her life. Viewing old family videos can boost memory and mood in older adults with dementia. Many seniors with dementia can still read, but they need the information presented to them in a manageable format. 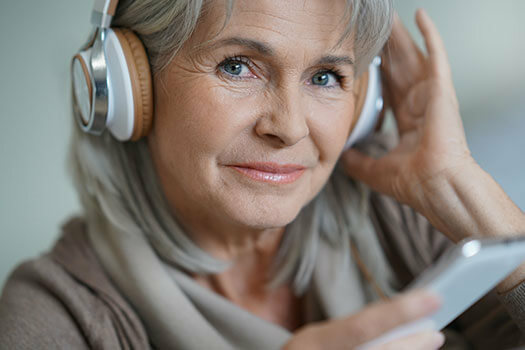 Audiobooks are good tools that allow seniors to hear the stories they love without getting frustrated when they can’t read the stories themselves. Give your loved one a selection of audiobooks that keep him or her intrigued and mentally engaged. Seniors with dementia need to remain active. Consider baking family recipes with your loved one to engage his or her mind. If cooking is an activity your loved one enjoyed in the past, he or she will love getting back in the kitchen now. The objective is to allow your loved one to do as many activities as possible without putting his or her health at risk. Dementia is one of the most serious health concerns affecting the elderly. Seniors living with serious health conditions often need extensive assistance in and outside the home. Home Care Assistance is a trusted provider of 24-hour care. Green Valley Home Care Assistance provides caregivers who are expertly trained to assist seniors with bathing, grooming, light housekeeping, and various other daily tasks, and we also offer specialized Alzheimer’s, dementia, stroke, and Parkinson’s care. To create a comprehensive in-home care plan for your elderly loved one, give us a call at 520-625-2050 today. Why Do Older Adults Try to Conceal Dementia Symptoms?